In 1954, stock car racing’s first season, Willie Harrison trundled onto the track in a 1937 Vauxhall powered by a Bedford engine. It was the first meeting in a long career; the first step towards Willie establishing himself as one of the sport’s premier entertainers. Willie experimented with a number of different cars as the sport slowly evolved into custom-built racers during the 1950s and 1960s, but it was when he teamed up with fellow Rotherham racer Rod Falding to buy a former National Points winning car from Aubrey Leighton in 1966 that his fortunes began to change. Final wins hit double figures in a season for the first time, and he landed his first major title in the 1967 British Championship. A second British Championship followed in 1975, part of a successful comeback season after Willie suffered a badly broken leg which forced him out for the whole of 1974. Despite always being a top contender for the gold and silver roof, Willie seemed doomed to play the role of perpetual bridesmaid. Four second-place finishes in the National Points Championship between 1971 and 1976 combined with bad luck in World Finals. Willie went close to gold in 1971, but buried himself in the Belle Vue fence in a desperate attempt to take the lead from Stuart Smith. 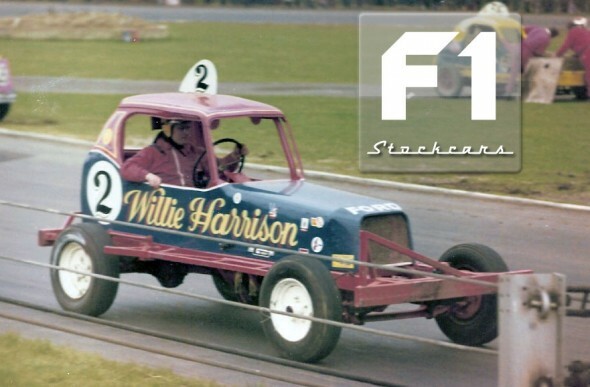 Six years later, Willie found himself in the lead at Coventry, but Johnny Goodhall took him onto the centre green and allowed Mike Close and Frankie Wainman to pass. Stock car’s unluckiest driver continued to bemoan fate in the 1979 Silver Jubilee season. Willie led the prestigious Grand Prix Series going into the final round at Bradford, only to be hit by a trailer in the pits and be whisked off to hospital to treat another broken leg. Stuart Smith leapfrogged Willie in the standings, and although he presented the winner’s cheque to his rival, it was little compensation for the loss of the title. Willie continued his long hunt for success by turning out on track in a distinctive wedge-shaped car for 1981. It drove well and took him to the front row for the 1982 World Final at Belle Vue. Willie took the lead on the first corner and avoided the close attention of Mike Close on a slippery track until he took the chequered flag to thunderous cheers. 28 years after beginning his stock car career, after so much bad luck and so many close shaves, Willie had finally landed the World Championship title. That success signalled a gradual slowing down until Willie called time on his career in 1989. By then, he had another outlet for his stock car passions. His son, Paul, started racing in 1985 and showed great potential. Willie was to be the wise head that Paul could turn to. And surely it wouldn’t take Paul as long to win the World Final? Further Photographs of Willie Harrison can be found on Brian Watson’s excellent website Ovalaction.com – Click HERE to be taken direct to Willie Harrison’s page. 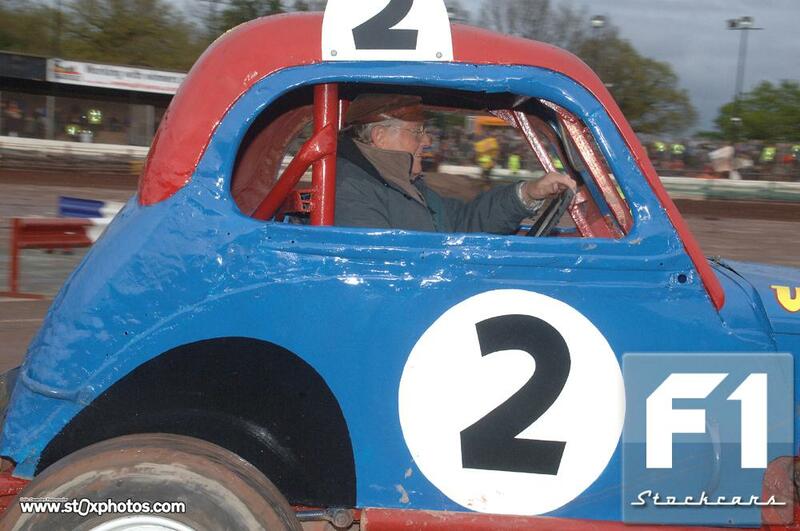 At the May 2012 Coventry meeting Willie got behind the wheel for a few laps alongside son Paul and grandson Bradley.